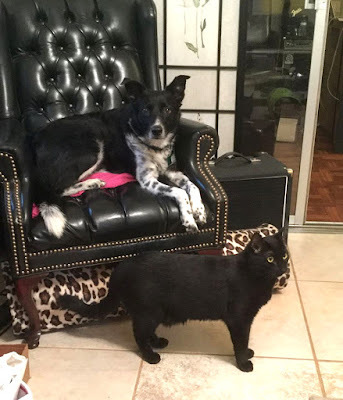 I always suspected Topper would be able to get along with a cat, and he and Koda have become quite good friends. In the beginning, Topper was afraid of the cat, but now he has figured out there's nothing to fear. Sometimes Koda tries to rub up against him and show love, this still freaks Topper out, but since he's a good boy he just walks away. My boys!